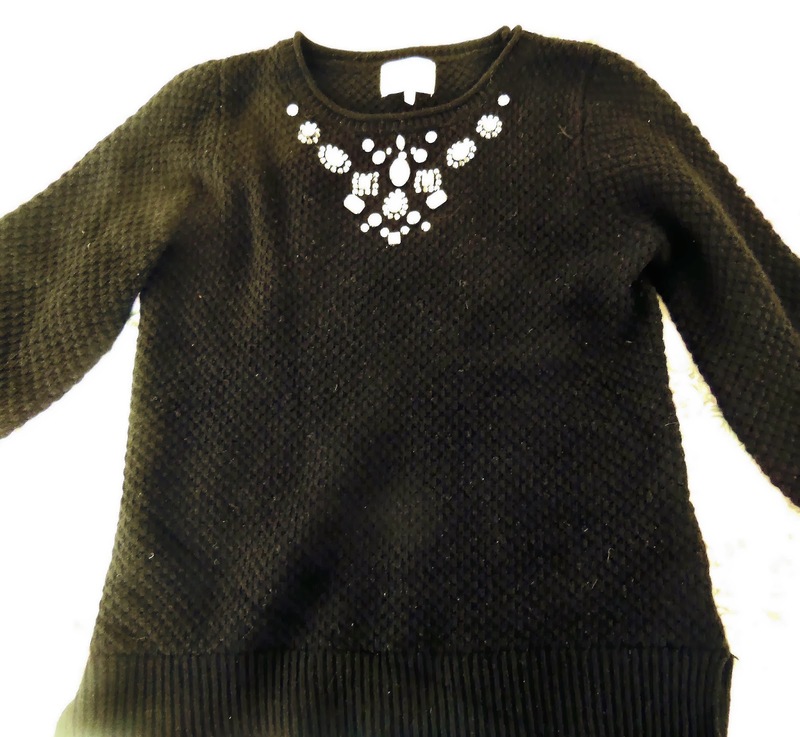 This lovely knit jumper from Matalan only cost me £11.50 instead of the original price of £22. 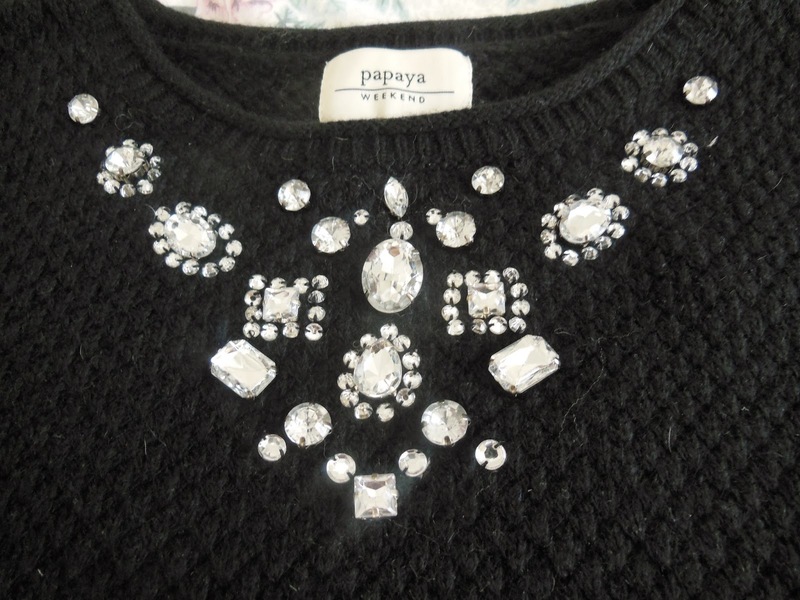 The jewelled collar was what caught my eye and made it stand out from the rest. 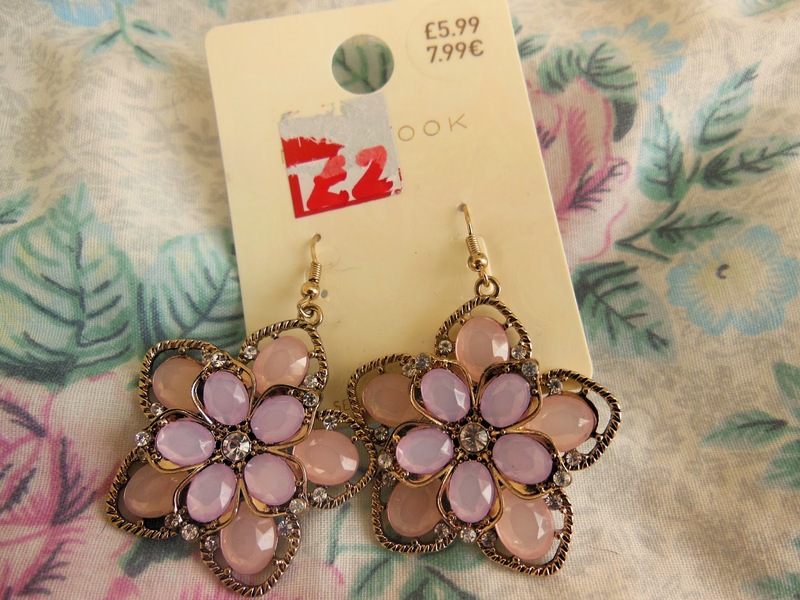 Next I bought this pair of earrings from New Look. This must be the fourth pair of pink flower earrings I own but I just couldn't resist. They look soo pretty. The original price was £5.99 and I paid £2. 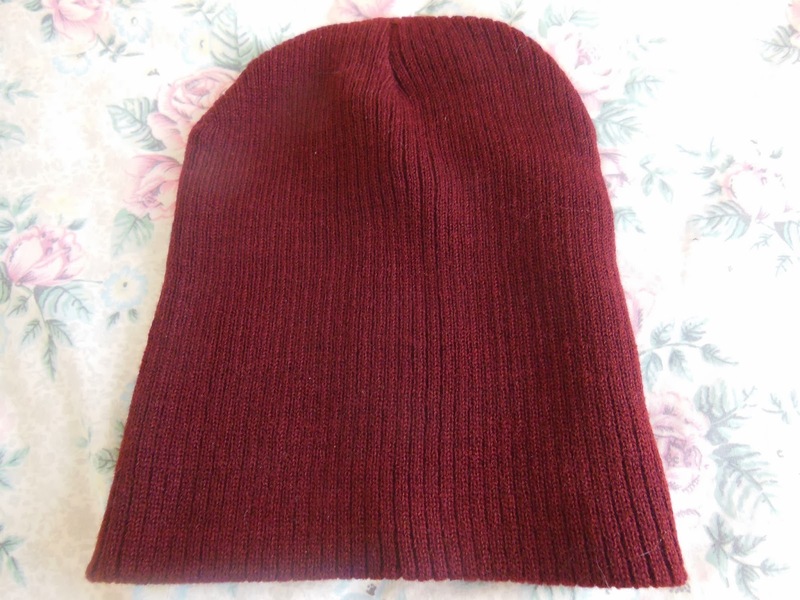 From New Look I also bought this berry coloured ribbed beanie for £1 instead of £4.99. I was looking for something to keep me warm during these cold days we are now having in the UK and thought this was a perfect match. One of the places I also visited was Accessorize, and as they had a 70% off sale I was eager to look for something. 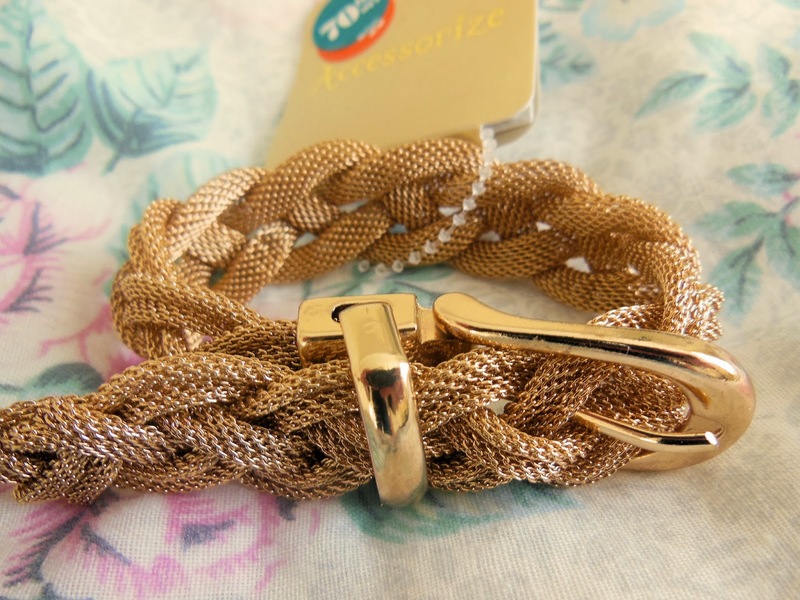 This beautiful gold chunky chain bracelet was different form anything I already owned and I paid it only £3.60 instead of £12 :) A bargain. So,what have you enjoyed buying this month?